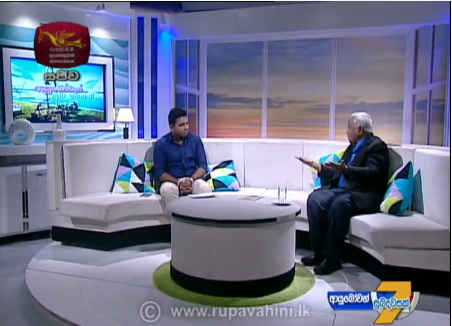 The Rupavahini, TV channel’s “Suba Udesanak” ( Good Morning ) programme on 28th October 2016, telecast an interview with Mr Basil Fernando of the Asian Human Rights Commission where he discusses issues of human rights, and national reconciliation and their progress in Sri Lanka, in the backdrop of the two students being killed in Jaffna in the recent past, and its implications for process of reconciliation in Sri Lanka. Mr Fernando draw examples from the current situation in the United States where there is again an emergence of racial consciousness with the campaign ‘Black lives matter’ and discusses in detail the reforms needed in the policing, institutional frameworks and social change, toward practical implementation of human rights and administration of justice and national reconciliation. You may watch the full interview, where Mr Fernando speaks with the Rupavahini “suba dawasak” morning show host here.